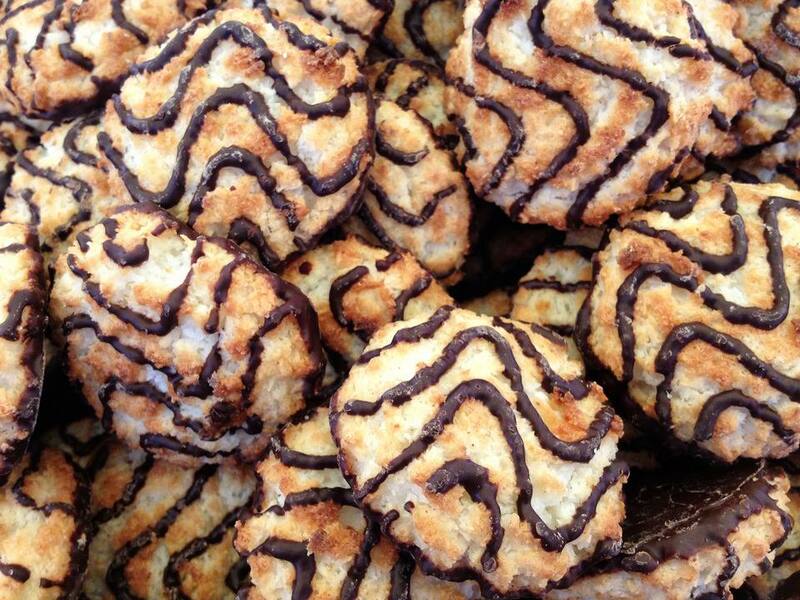 A favorite treat in the Spanish-speaking Caribbean islands is a type of macaroon cookie called coconut kisses (besitos de coco). Here is a simple Puerto-Rican recipe which can be gussied up by sprinkling with crushed nuts or by dipping or drizzling in chocolate. Heat oven to 350 F (177 C). Grease a 13-by-9-by-2-inch cookie sheet. In a bowl, thoroughly mix coconut flakes, flour, egg yolks, brown sugar, butter and extract until a sticky dough that is moldable forms. Divide the dough into 24 uniform balls. Place the balls on the greased cookie sheet and bake for about 25 minutes. They should be golden brown. Remove from the oven and let cool completely before eating. If desired, drizzle with melted chocolate and chopped nuts.